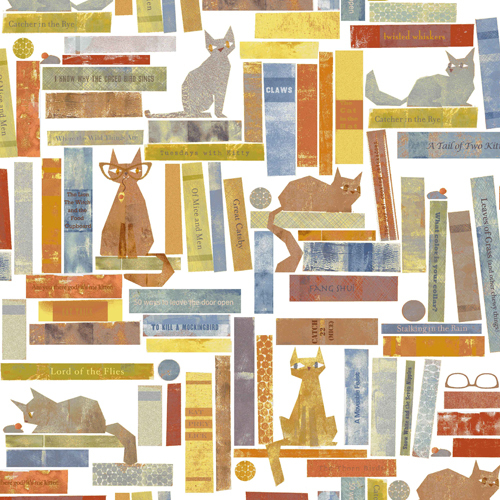 Conceptualized from her love of two things � books and cats, Maria Carluccio�s debut collection Smarty Cats reflects quirky and playful cats who love to read (or at least play in bookshelves!). With green mice, aqua cat faces and tangerine dots, this modern collection was designed to make unique bags fun aprons and cozy quilts for every cat lover. 17 Skus. On sale August 2016. Delivery to stores January 2017.